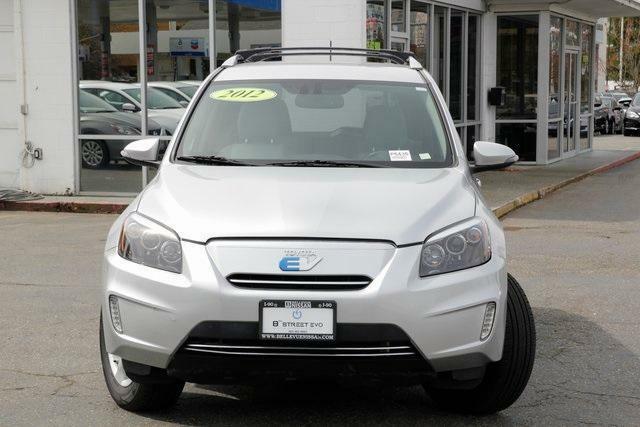 Toyota Rav4 EV Forum • View topic - Roof rack? 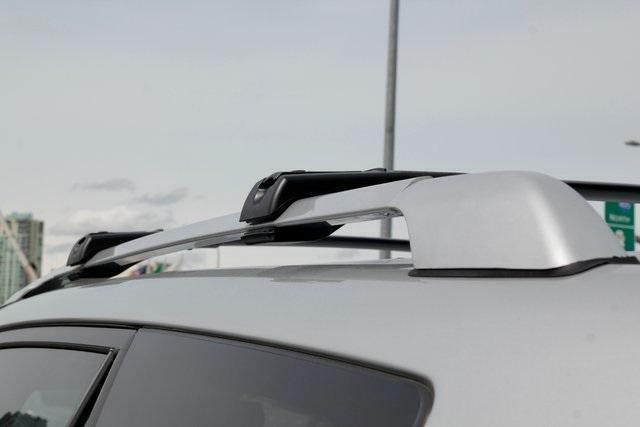 Post subject: Re: Roof rack? I just called a toyota-only wrecking yard in Sacramento. 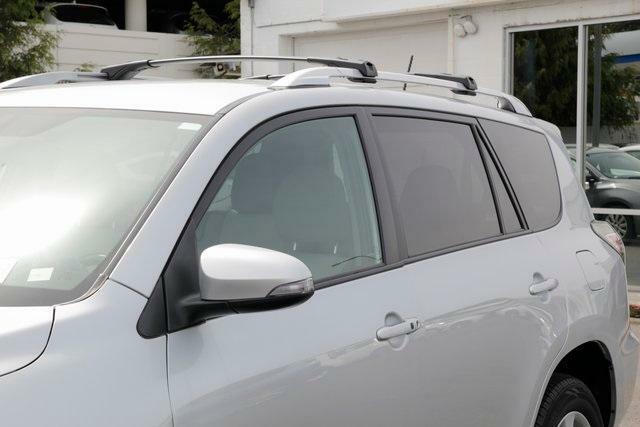 Got a factory roof rack from a ICE Rav4 Sport. Plug-and-play. Looks great. Then I went to REI when they had a decent sale and got Yakima JetStream bars and TimberLine towers. $100 at the wrecking yard (including next-day freight shipping to the Bay Area) and $300 @ REI, and now I can carry sheet goods home from the hardware store! Totally worth it. 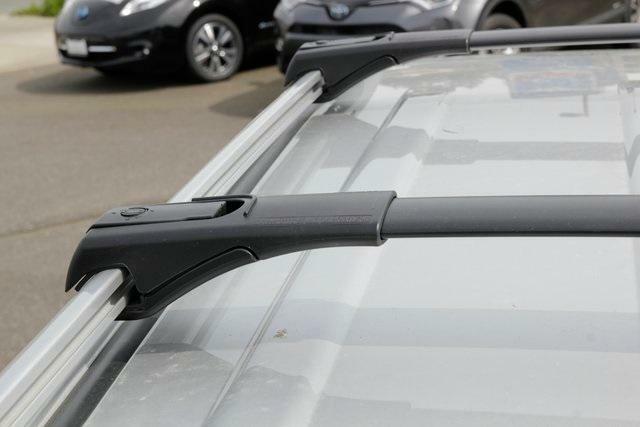 A local 2012 for sale at a Nissan dealer has a roof rack setup. Second update: the rails seem to be holding on, although everyone was right, they're not high quality or very attractive. No detectable effect on range with just the rails, which was what I expected - if I put the crossbars on, or the kayak, I see some big range loss. Yep, that's the after market rails I have. Crossbars are different, mine stick out past the rails and have locks. The RAV handled a 65 pound fishing kayak with a slight loss in range (used about 1.5 miles per mile traveled with the boat on it).